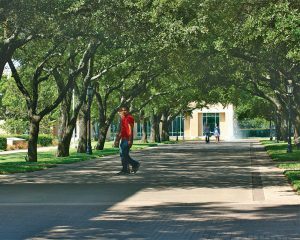 n any sunny afternoon in Fall Term 2016, some of the 365 members of Austin College’s Class of 2020 pass through campus along Windsor Mall, the branches over the tree-lined walkway creating a shady archway overhead. The scene offers a picture-perfect view of today’s campus while the melodious strains of the carillon from Wynne Chapel add atmosphere to the moment. When the 60-some members of the Class of 1956 arrived on campus, College Street ran through campus where Windsor Mall is today, and cars drove by the Administration Building and Student Union Building, right on past Hughey Gym. No Wynne Chapel or carillon bells existed. President Marjorie Hass frequently tells alumni that though campus buildings come and go, students and faculty graduate and retire, and courses change, the foundational liberal arts education that makes the Austin College experience transformational for its students remains. The College continues to educate students with a focus on academic excellence, intellectual and personal integrity, and participation in community life that emphasizes respect for all its members. 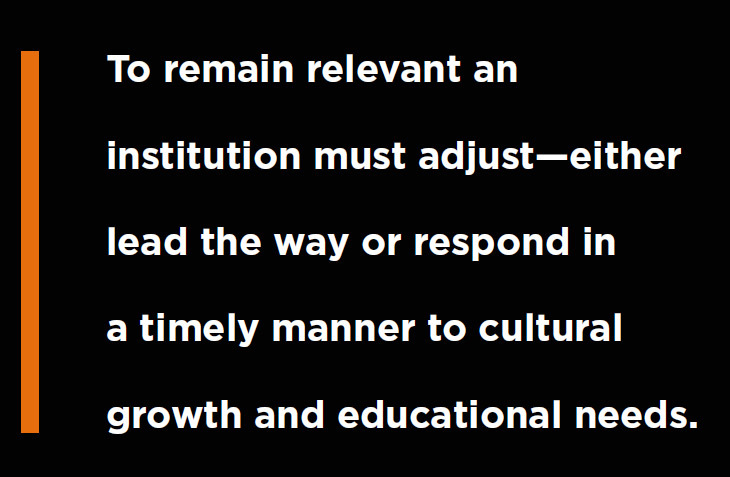 To remain relevant an institution must adjust—either lead the way or respond in a timely manner to cultural growth and educational needs. Austin College welcomed women into the student body two years before they won the Constitutional right to vote. In 1942, when the country needed trained military, Austin College taught more than 300 men and women in engineering, science, and management courses sponsored by the United States Office of Education. During the presidency of Dr. John D. Moseley (1953 – 1978), the campus evolved into the modern age of diversity and saw the beginning of educational practices still used today. Just four decades later, Austin College has its first woman president. 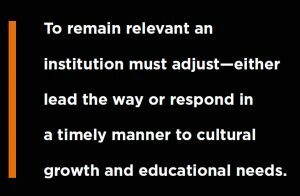 The student body and faculty, too, continue to evolve. 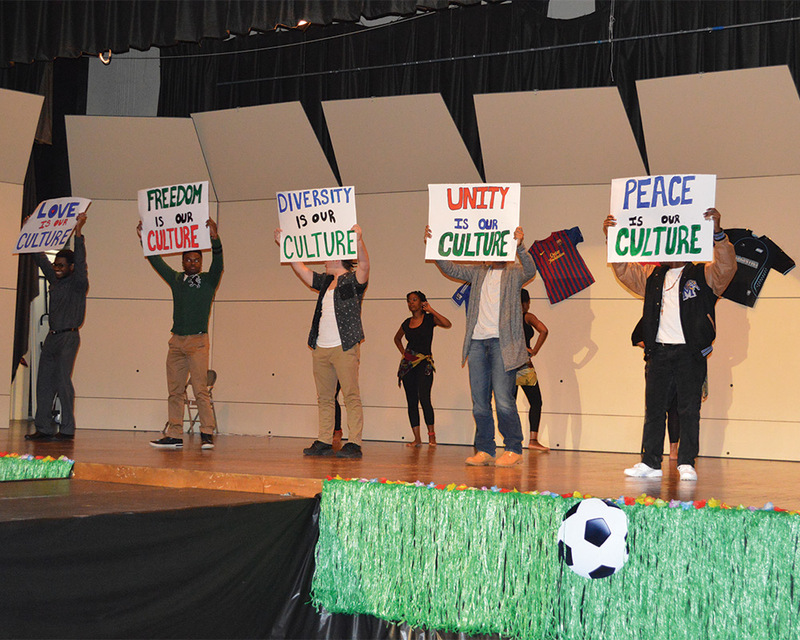 Members of Black Expressions perform at the 2016 Student International Organization Fashion Show, which welcomes participation from all campus groups. Photo by Erin E. Laine. All campus social and cultural organizations are represented at the Opportunity Fair held the first week of classes each fall in order to familiarize new and returning students with options for Involvement. A look at today’s student body offers a vibrant picture of people from 30 different citizenships, many religions, or no religion at all. Students identify as liberal, conservative, and wondering. They work hard in areas of study ranging from accounting to Western intellectual tradition. Students come from rural communities and metropolitan cities, graduating from homeschools, private schools, and public schools. They excel in academics, co-curricular activities, and athletics. They’ve served their communities and their places of worship. Today’s students also represent greater ethnic diversity than ever before, as well as a new high in first-generation college students. 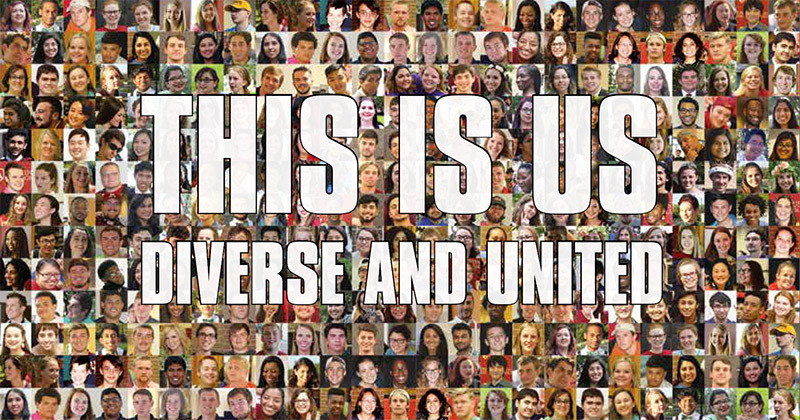 In fact, the Class of 2020 is the first minority majority class in the history of the College. Fifty-three percent of freshmen identify as non-white, which brings the minority group percentage of the entire student body to 48 percent. That’s a demographic President Hass is proud to announce. Earlier in 2016, Dr. Hass created the Task Force on Inclusion and Diversity to develop recommendations for best practices for underserved and minority groups in all areas of the College. Dr. Hass says she wants all members of the community to feel valued—not just to the point of acceptance or comfort, though that is important, but valued for their contributions. Austin College chaplain Dr. John Williams ’84 and psychology professor Dr. Lisa M. Brown serve as co-directors of the task force. 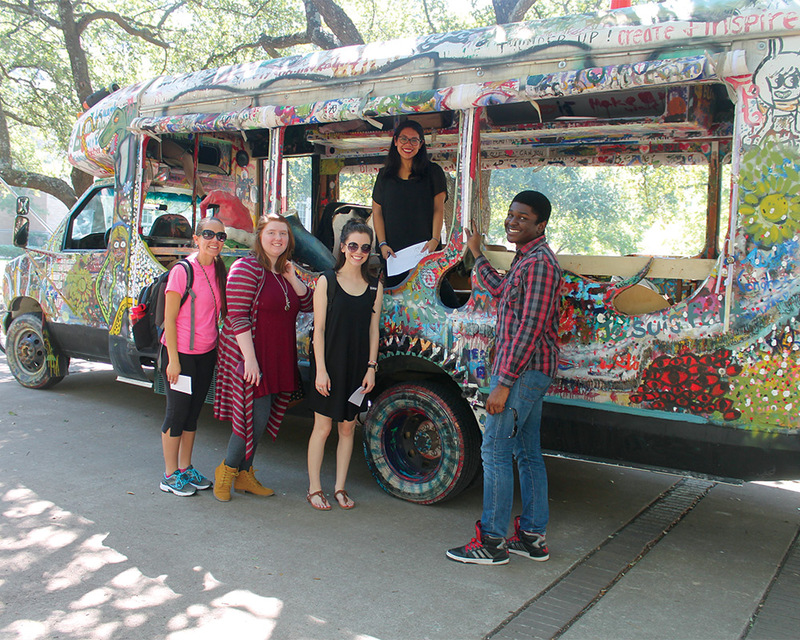 Together they lead a team that looks holistically at how Austin College supports diversity and how it serves the educational mission, which includes teaching students to think critically and clearly, understand and respect differences, and express themselves persuasively. 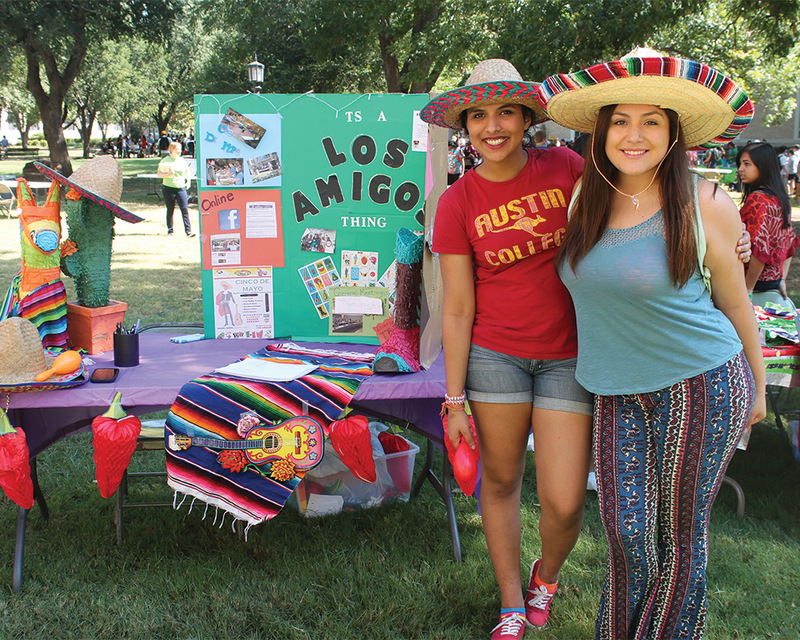 “I definitely had not been in such a diverse place before I came to Austin College,” Yasmin Renteria ’19 said, “so my freshman year was really an eye-opening experience.” She is the president of Los Amigos, a student group organized to bring people together to learn about and celebrate Hispanic culture. Most members are Hispanic students although all are welcome, and many students of other backgrounds join because of an interest in the culture and language. Membership has increased this year, likely a reflection of a greater number of Hispanics in the student body overall. 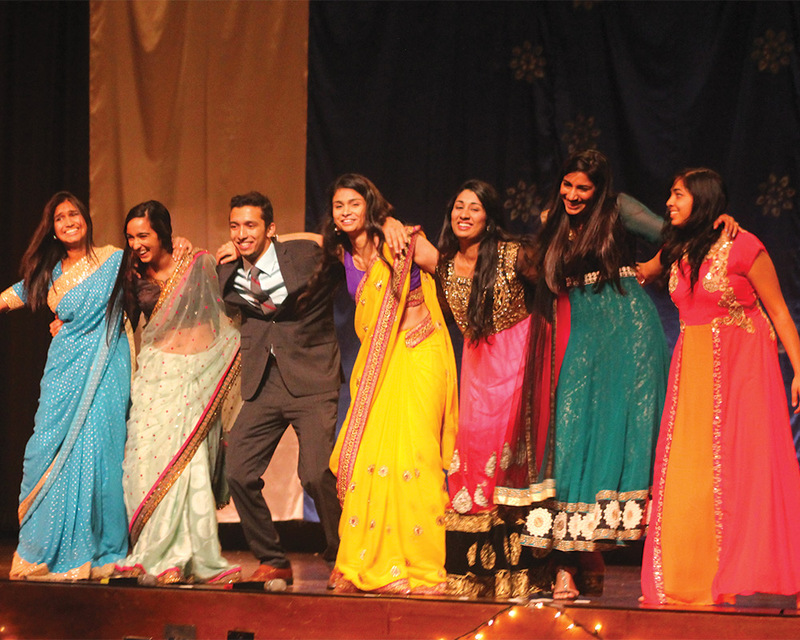 The campus organization list includes several cultural groups, all intent on enjoying their own traditions and sharing them with others who are interested. Sharing perspectives is not an occasional opportunity. “There’s a lot of liberty to connect with like-minded peers to talk about issues that matter to them,” Jaisanghani continued. 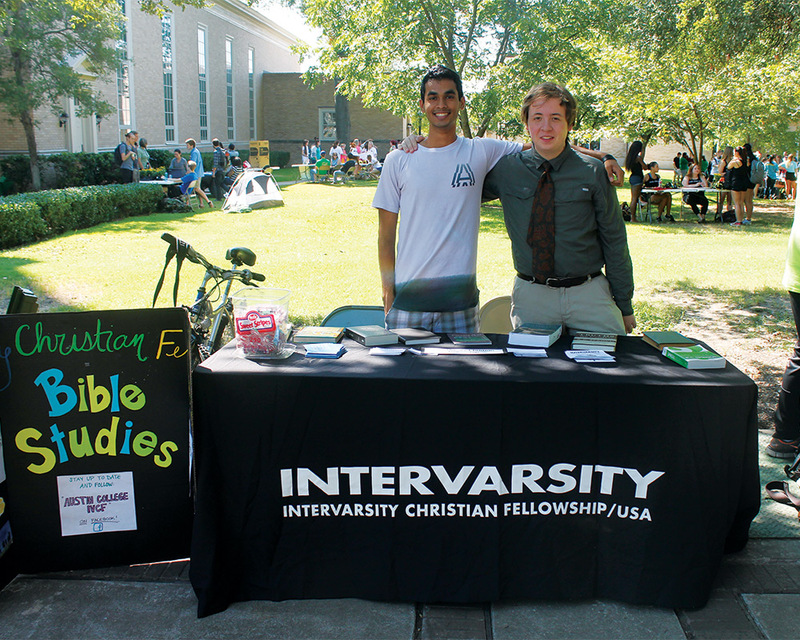 While the College’s connection with the Presbyterian Church (USA) remains strong and the majority of the student body identifies as Christian, the Religious Life Program cultivates an inclusive atmosphere that supports students’ faith journeys regardless of religious tradition. “We’re not diverse in spite of being a Presbyterian college,” Williams said. “We’re diverse because we’re a Presbyterian college.” The campus community includes opportunities for Buddhist, Hindu, Muslim, Jewish, Catholic, and Protestant students who want to grow in their religious tradition. All groups have open-membership policies so students can learn about one another’s beliefs and views. Inter-faith dialogues are encouraged and supported. 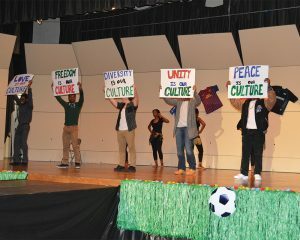 Student organizations dedicated to the celebration and sharing of ideas—Los Amigos (Hispanic culture), Gender-Sexuality Alliance, Indian Cultural Association, Student International Organization, Black Expressions, and Asian Student Association as examples—provide campus events that are attended by broad cross-sections of the campus community. The Art Bus, decorated by Art Department students, draws attention for the Student Organization of Modern Art. President Hass and the Board of Trustees have committed to making an Austin College education accessible to talented students from a wide range of economic backgrounds through merit-based scholarships. Evidence of academic excellence and potential to succeed are the key decision-making factors in granting admission. In 2016, some 35 percent of students came from households with an Adjusted Gross Income of less than $50,000, and the percentage of students eligible for PELL grants, representing high financial need, has grown from 22 percent to 29 percent over the past five years. That creates another set of issues. First-generation college students (the first in their family to attend college) may experience a steep learning curve that begins with understanding the jargon, requirements, and logistics of higher education. And, they face these and other challenges while making all the usual adjustments to the responsibilities and freedoms of campus life, like living with a roommate, learning to manage time, and being away from family. 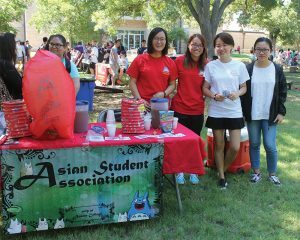 Austin College has more than 70 campus organizations, including interest groups such as Society of Physics Students and Pre-Law Society. 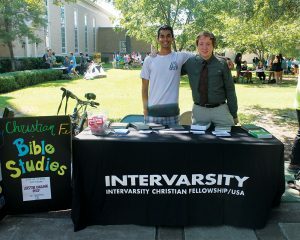 Students participate in honor societies, local fraternities and sororities, and service and religious groups like InterVarsity Christian Fellowship. Cultural groups like the Asian Student Association educate, support, and celebrate traditions and heritages. Millerick refers to staff such as those in the Academic Skills Center, which offers assistance with college coursework, study habits, content-specific peer tutoring, and accommodations for documented learning disabilities. The center also includes a staff member providing support services for transfer students and international students as both have their own set of issues in settling into the campus community. Student Engagement, Enrichment, and Development (SEED) staff also help students with adjustment to college life, as do professionals in Career Services, Residence Life, Health Services, and Counseling Services—all working together to offer a broader, deeper network of support at Austin College than ever before. And, of course, faculty provide assistance beyond the classroom as mentors and guides for their students, working with Student Affairs staff as needed when issues are identified. She readily admits she misses her parents and nine younger siblings. Her father wanted this opportunity for her, and initially her mother objected—but came around. “She’s a mom, you know,” Yassin said. “After my parents left me here, it was hard.” Her pre-med studies are challenging, partly because she did not have the high school science lab facilities that are common in the U.S. She has adjusted her coursework, and takes care of herself with attending a stress management group on campus. Roommates, left to right, Rohail Rahman, Jason Shin, Ganesh Maniam, and Noah Selz didn’t consider their diverse backgrounds; friendship brought them together. They consider their diversity phenomenon a coincidence born out of friendship. Ganesh said he was impressed that the refrigerator was always full because it takes a lot of groceries to accommodate the various diets … beef, no beef, pork, no pork, and traditional Korean, Indian, Pakistani, and Jewish dishes. Plus snacks. That’s a lot of groceries. The roommates have attended social events at one another’s supporting organizations. 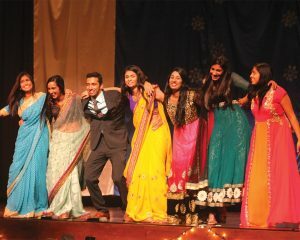 The Hindu goes to the Jewish Rosh Hashanah celebration. The Christian goes to Diwali with the Hindu. They simply enjoy the opportunities to experience new things with good friends. Morgan Laday has her hands full with a busy academic and social schedule of classes, student groups, and athletics. Before junior Morgan Laday ever committed to Austin College as a basketball player and pre-med student, she got assurance from a campus tour guide that she would be accepted for herself. She’s an athlete who grew up playing softball, golf, basketball, soccer, tennis, and track. 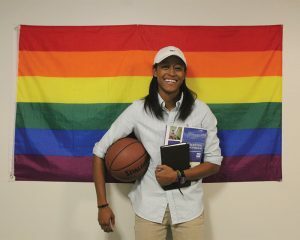 She’s African-American, a serious student, a Christian, and gay. “I’ve never felt discriminated against because I’m gay,” she said. 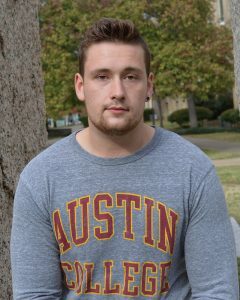 “It might sound cheesy, but I know the whole school has my back.” Morgan received the Austin College LGBT Alumni Scholarship, which was created by the alumni group to benefit students who exhibit exemplary academic achievement, high standards of personal character, commitment to the LGBT community, and financial need. 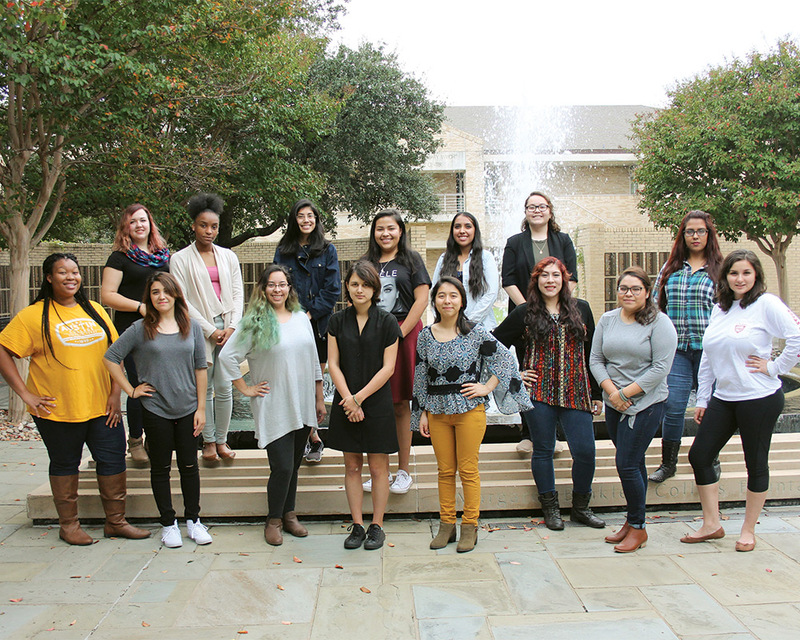 Campus Sisters: Front row, left to right, Erin Adams, Jazmen Marquez, Emma Cortez, Zane Trebino, Katia Lopez, Greyka Galvan, April Rodriguez, Monica Martinez; and back row, Aurora Hadzic, Tramondranique Hawkins, Yasmin Renteria, Emma Chalott, Maria Jaramillo, Karla Herrera, Mitzi Briseno. The self-named Sorority of the Plaid Skirts is a coalition of students attending Austin College through a relationship with the Young Women’s Preparatory Network (YWPN). Greyka Galvan ’17, the group’s campus leader, will graduate this spring with a degree in business administration. Eight high schools around the state participate in the network and agree on the mission of single-gender, college-preparatory, public education that equips young women with academic and leadership skills to succeed in college and life. 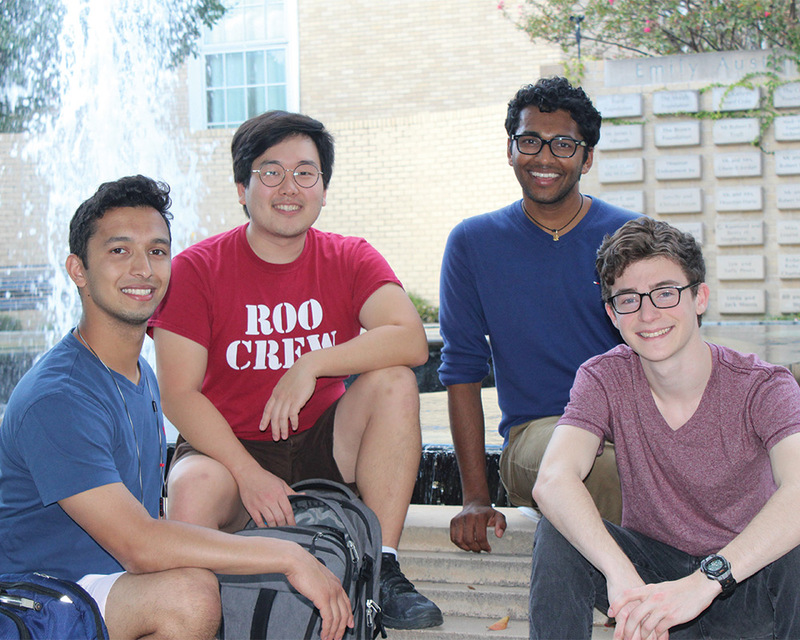 Austin College is in its third year of formal partnership with YWPN and meets the full demonstrated financial need of three to five freshman students each academic year and through their next three years. Admission staff members have worked closely with the schools for many years. Currently 18 alumni of YWPN schools attend Austin College. Michal Magdziak traveled some 5,550 miles from home to attend Austin College. From Michal Magdziak’s ’20 home in Warsaw, Poland, you can drive three hours north to the Baltic Sea or three hours south to the Carpathian Mountains. The drive is a lot longer in North Texas to get that kind of variety. 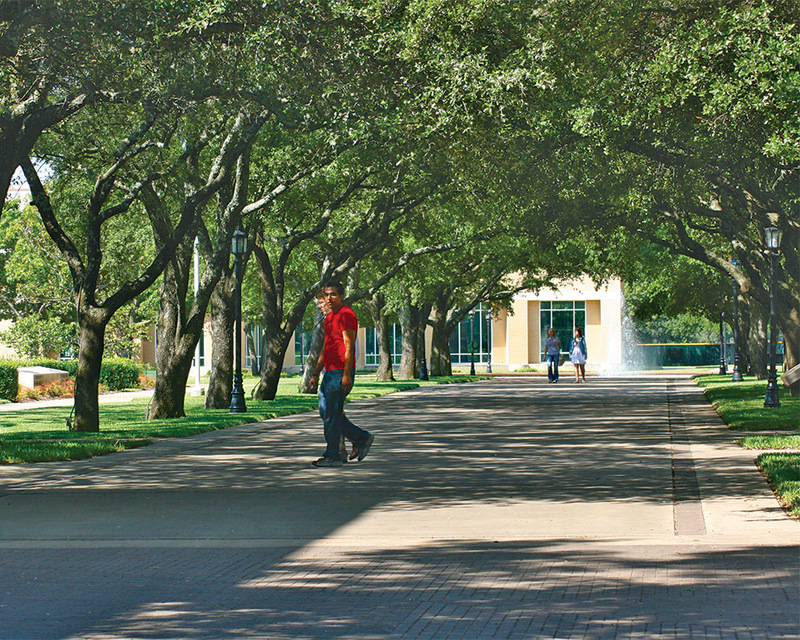 Although he may miss the scenery of his homeland, Michal chose Austin College and Texas for specific reasons. “I applied to other universities in the United States, but I chose Austin College because I wanted to play football and the school is academically demanding. Also, it’s situated in Texas for hot weather and where football is a serious thing,” he said. Believing that a U.S. education will help him in the future, he also came here to improve his English and have better employment opportunities. “I haven’t decided my major yet, but it’s probably going to be math or business,” he said. Reading long academic assignments in English language has been challenging, and he is designing his course load to be successful. Named the 2015-2016 Outstanding Freshman, Erin Laine loves being busy and thrives on involvement in a variety of campus activities. 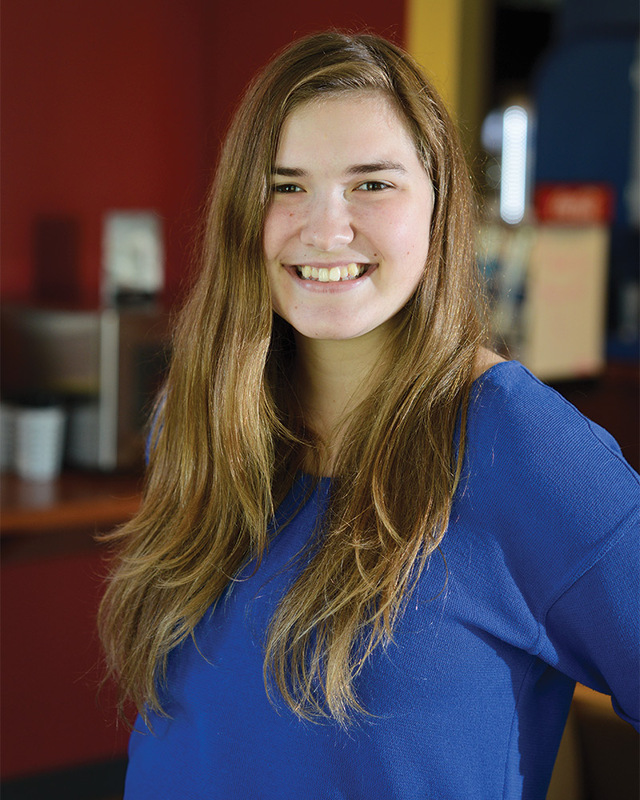 As a freshman, Erin Laine focused on academics early in fall 2015, as most freshmen are advised to do. But for a person who is better when busy, it’s hard to hold back for long. “I ran for freshman representative in Student Assembly, which began in the spring for me last year, and then I got very busy,” Erin said. She shrugs off the idea of being “too busy,” saying she’s had a job since she was 11 years old, first at a miniature horse farm, then as a tutor. She also led a Houston-area 4-H chapter as president for four years. Erin was homeschooled and took many of her classes at a community college. “I’ve always been an independent learner, and I understand how to manage time pretty well,” she added. Growing up in the large, international city of Houston, she has been exposed to the variety and benefits of diverse people and opportunities. This year, Erin brings her unique perspective to daily life as a resident advisor, campus tour guide, student letter writer for the Admission Office, and campus event photographer. She also serves on the Food Advisory Committee for Student Assembly. Erin is in the Austin Teacher Program, majoring in English with a minor in education.